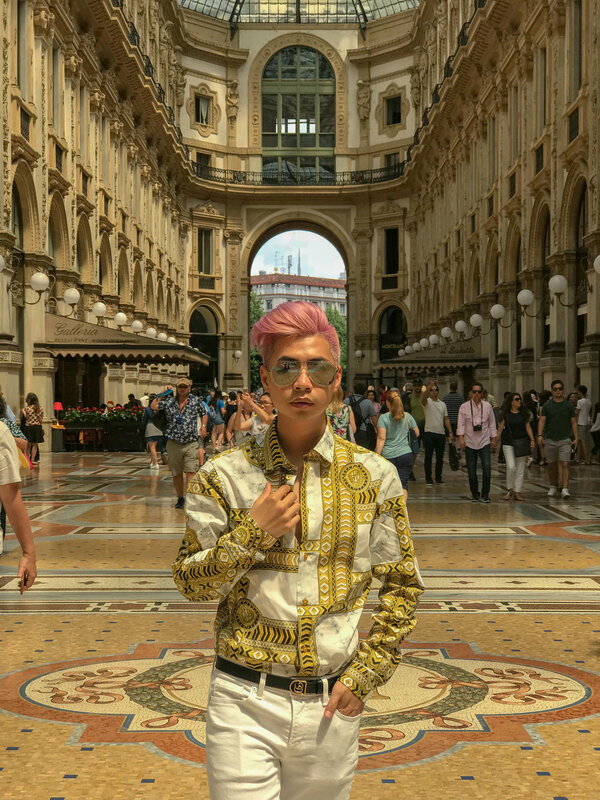 See What (Really) Happens During a Photoshoot at the Duomo — MYBELONGING - High Fashion, Menswear Streetstyle Meets Food, Travel and Editorial Experiences. 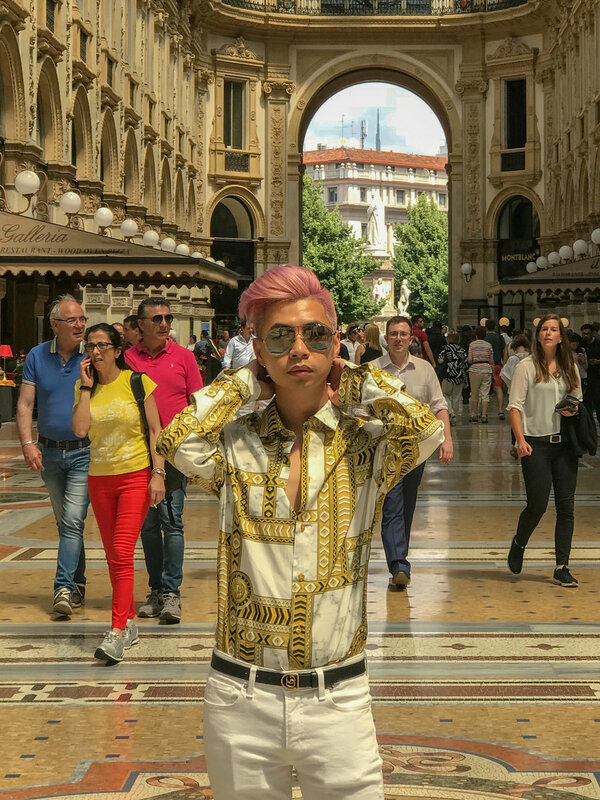 So I am not in Milan for fashion month this season, but that doesn’t mean I can’t reminisce all the memories I’ve made when I was there, in person, for the very first time back in June. 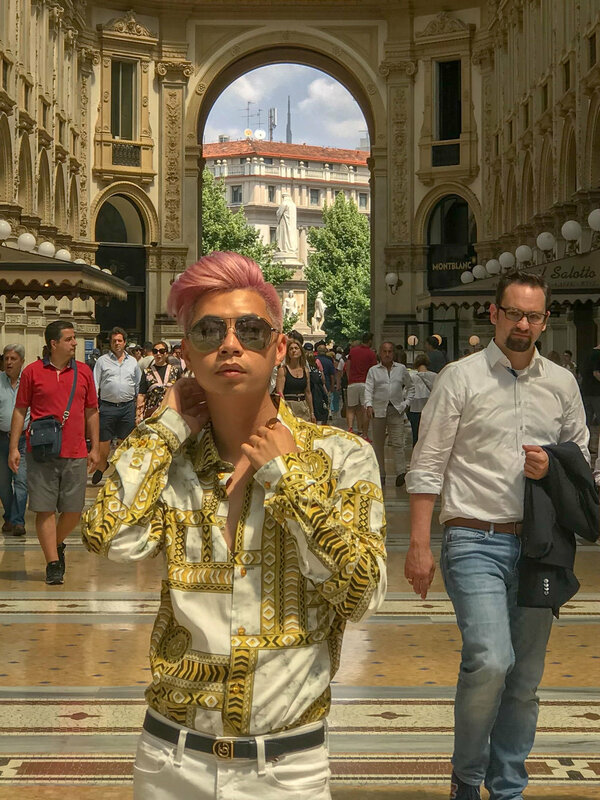 I had the time of my life, powered through many aperitivos, and decided to take on the daunting task of snapping some photos at one of Milan’s most prominent landmarks — the Duomo. Specifically the Duomo di Milano. This is the Duomo. It is super crowded. Consistently. On a daily basis. It attracts people from all over the world. On this particularly sunny day, Jonathan Spada was my photographer. Jonathan and I’ve been long time friends from college. We spent many brutal winters, imbibing all kinds of red wine smuggled from the Hotel school. 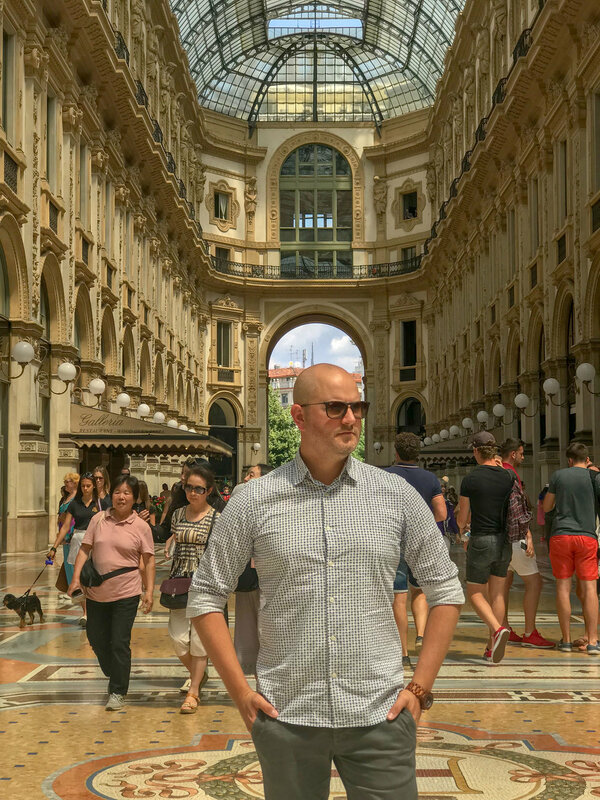 Jonathan now lives in Rome, Italy, where he is cultivating a worthwhile life with his partner and an entourage of puppies. But this kept happening. Every time we took a photo. Without fail. The cursory glances. The judgmental stares. There was seemingly no end to the humiliation, as we attempted to conquer the difficult task of taking a decent snapshot at the Duomo. So there you have it. This is what happens when you attempt to take photos at the Duomo. The lesson learned? It’s okay to have fun and poke fun at yourself for doing this. And I am owning up to this tourist moment with all sincerity.